The second season of Edge & Christian's WWE Network show finally has its premiere date. 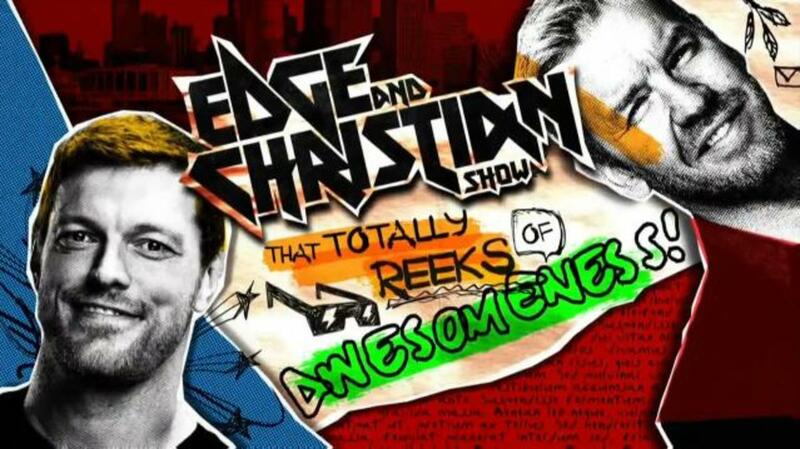 During last night's Raw, it was announced that season two of "The Edge and Christian Show That Totally Reeks of Awesomeness" will return next Monday (November 26). The season premiere will air on the WWE Network after next Monday's episode of Raw. The first season of the comedy series aired in 2016 and featured 12 episodes. Season two was officially announced by WWE this April. Edge & Christian's podcast returned from hiatus last week, with Shawn Michaels and musician NIta Strauss appearing as the guests. WWE has also officially confirmed that a one-hour Starrcade 2018 special will air on the Network at 8 p.m. Eastern time on Sunday (November 25), which is the night after the event takes place at the U.S. Bank Arena in Cincinnati, Ohio. WWE hasn't revealed which matches will be shown on the special.